The Gupta monarchs reunited much of the subcontinent in the third century CE, ushering in what some scholars have termed the “Classical Age” of India. As they study the question Under the Gupta Empire, how did the environment, cultural and religious changes, and technological innovations a ect the people of India?, students learn that the Gupta Dynasty (280–550 CE) presided over a rich period of religious, socioeconomic, educational, literary, and scientifc development, including the base-ten numerical system and the concept of zero. The level of interaction in all aspects of life—commercial, cultural, religious— among peoples across various regions of the Indian subcontinent was intensive and widespread during this time period, much more so than in earlier periods. This helped produce a common Indic culture that united the people of the subcontinent. Buddhist monasteries and Hindu temples and schools spread. Sanskrit became the principal literary language in many regions of the Indian subcontinent. Under the Gupta Empire, how did the environment, cultural and religious changes, and technological innovations affect the people of India? How did Indian monks, nuns, merchants, travelers, and empires from what is now modern India and other parts of South Asia spread religious ideas and practices and cultural styles of art and architecture to Central and Southeast Asia? 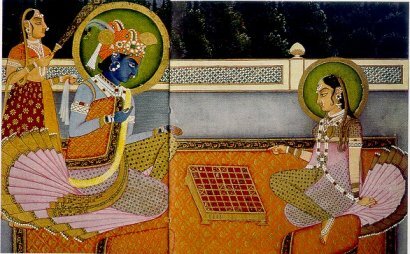 How did the religions of Hinduism and Buddhism spread and change over time?